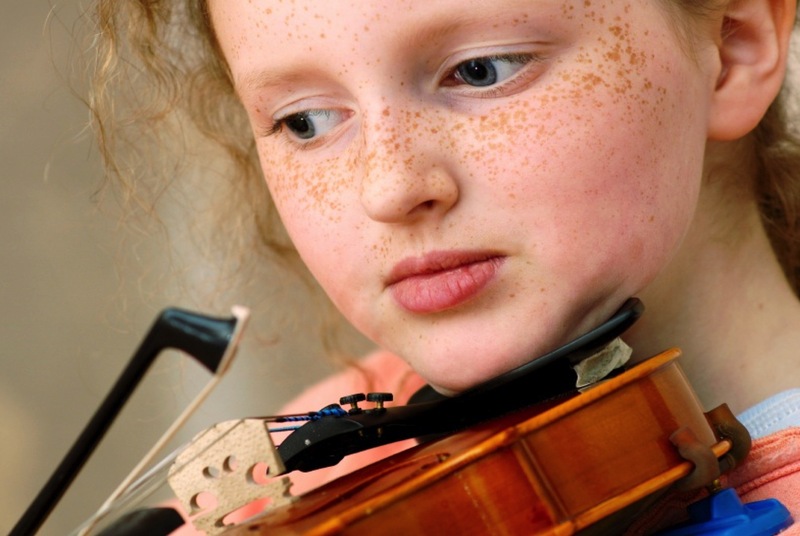 At Northwest School of Music, we know that having a talented teacher can make the difference between success and frustration for violin students. Our teachers have been carefully selected based on their skill and proven results so that we can provide our students with every opportunity to succeed. Contact us today to schedule your first lesson — we look forward to sharing this special experience with you. Northwest School of Music offers violin lessons to beginning students as well as advanced violinists who are interested in perfecting their playing technique. Beginner violin students focus on learning the fundamentals of music and playing simple, fun melodies! Important elements in lessons include technique, theory, and music appreciation. Once students master the fundamentals, they have the choice of branching out into classical music, fiddle music, even jazz. The violin strings’ beautiful sound often draw students to this instrument. NWSM’s violin instructor, Ms. Brooke Jacobsen, works to achieve this rich, sweet tone in all of her students. It is a motivating sound! Ms. Jacobsen has much experience in starting and nurturing string programs at the elementary, middle school, and high school levels. To learn more about Ms. Jacobsen’s education and experience, click here.